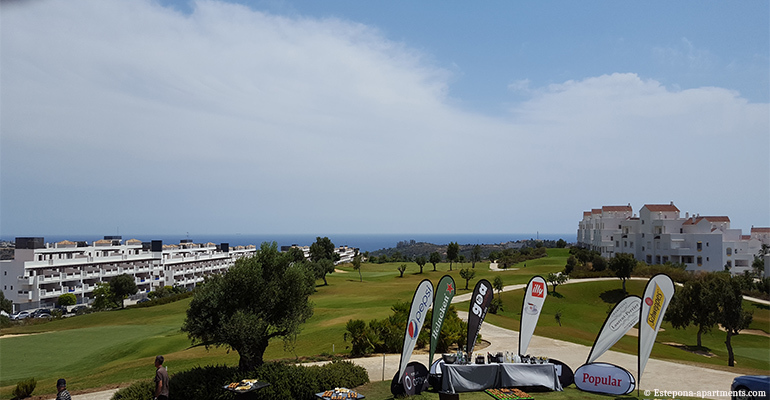 We offer reduced tee times and group deals in Estepona's main golf courses and golf breaks in Estepona on the Western Costa del Sol. You can book your tee-times on all the golf courses in Estepona with us. 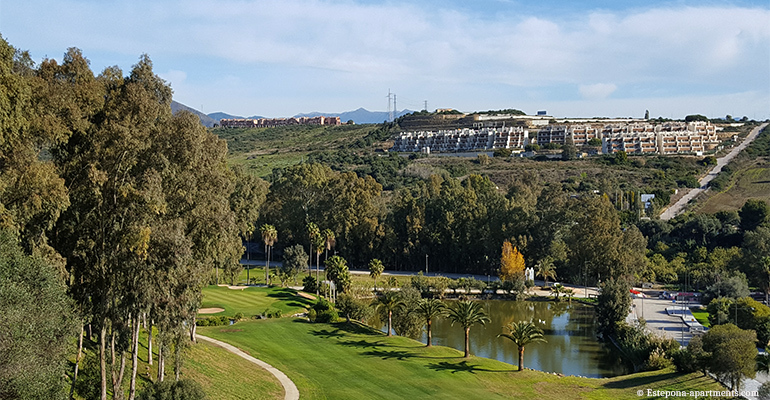 Estepona Golf was opened in 1989 and designed by Jope Luis Lopez. The design uses the natural landscape and is set in the foothill on the Sierra Bermeja mountains range. You will enjoy great sea views from most parts of the course. The course has been designed by Cabell B. Robinson, one of the most prestigious golf-course designer in the world. You will find here one of the best golf course in the area, 18 professional holes for the enjoyement of Golf fanatics. 6.4 km. course with wide fairways of an average 60.5 Mts. The Club House is completely integrated in the landsacpe with wonderful panoramic views of the city of Estepona and the Mediterranean. The Club House has lot to offer, specialised golf-shop, restaurant and coffee shop among others. 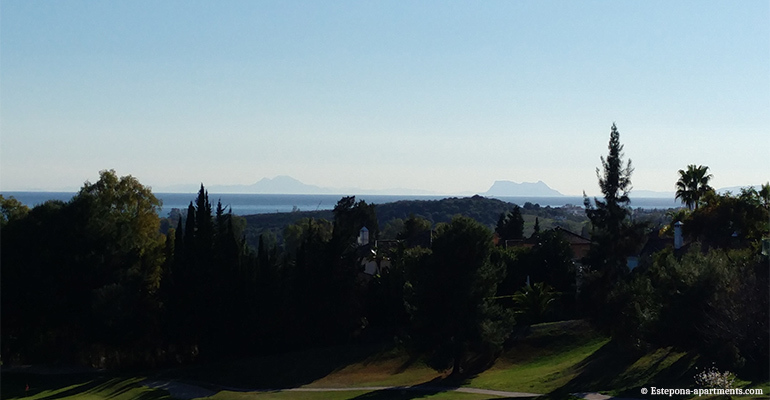 The other golf Courses in Estepona. Atalaya Golf and Country Club. One of the most distinctive Golf Complex on the Coast with two 18 holes course. Atalaya Old Course: A classical 18 holes designed in 1968 by Bernhard Von Limburger with Bermuda lawn fairways, strategi cally positioned bunkers and elevated greens. It is a typical open walking parkland course with rapid greens and scenic views to enjoy. Atalaya New Course. Created in 1994, it is a par 72 - 18 holes with undulating fairways, perfect greens and spectacular panoramic views. It is a specatacular Golf Course designed for anyone seeking a challenge. La Resina Golf and country Club. A nice and very well designed par 3 & 4 nine hole course, situated in the seclude Resina Estate. The course is carefully landscaped with a splendid selection of plants and trees and more than a thousand different kind of flowers. El Coto de la Serena. El Coto wasinaugurated in 1988, it is a 9 hole par 3 golf course. It fulfills all the condition to enjoy a Pitch and Putt in Sotoserena Urbanization. El Paraiso Golf Club. 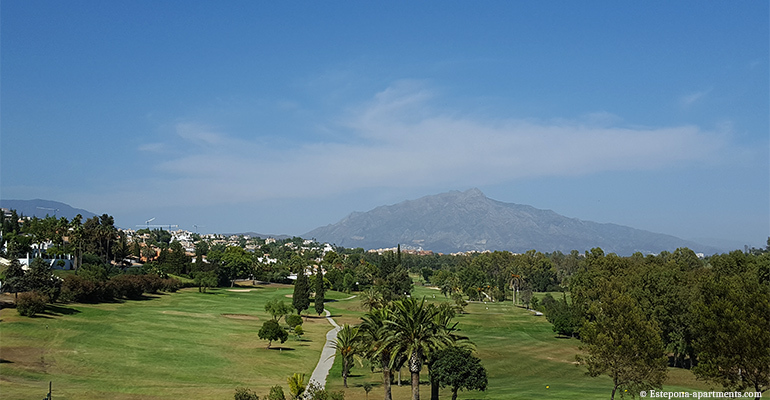 Opened in 1973 and designed by Gary Player himself, is one of the oldest Golf on the Costa del Sol. The course will offer golfers of all ages and abilities an exciting challenge. The setting is incomparable. El Campanario. Exclusive 9 hole course, opened in in 2003 and designed by Manuel Pinero. Each hole has its own characteristics. The natural surroundings are great with lakes, foutains, mature olive trees and a gently meandering stream.